Crews working on Summit Natural Gas pipeline will work 24 hours a day, linking Sappi Fine Paper Co. to the main line in Fairfield. SKOWHEGAN — Full speed ahead. The company laying a section of the Summit Natural Gas pipeline will begin working 24 hours a day, seven days a week, starting today to link Sappi Fine Paper Co. to the main gas line under construction in Fairfield. Sappi, one of the state’s largest employers, is among a handful of anchor tenants that made the $350 million gas pipeline possible in the Kennebec Valley. Inland Hospital in Waterville and Redington-Fairview General Hospital in Skowhegan recently joined Sappi, UPM Madison and Huhtamaki Packaging in Fairfield and Waterville as anchor tenants. In July, Summit also was selected by the city of Augusta to provide natural gas service to the city’s municipal facilities and schools. 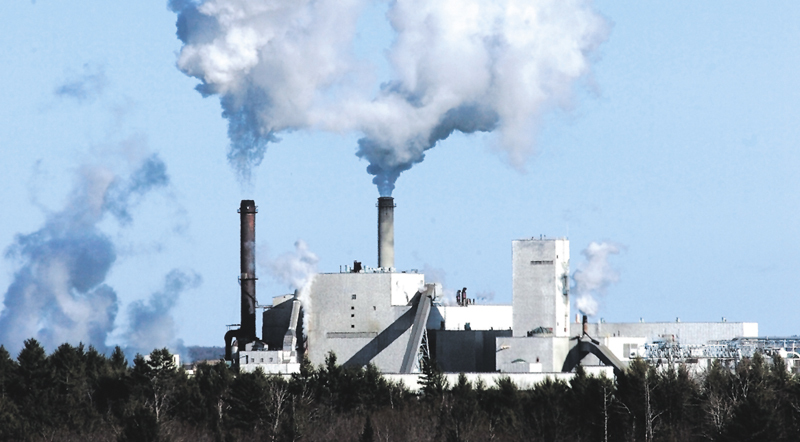 The main line is expected to reach the UPM Madison paper mill by Nov. 1. There are about 800 employees at the Sappi Somerset mill, including about 170 salaried workers, the company said earlier this year. The company is listed as the 17th-largest private employer in Maine when its 1,001 to 1,500 employees statewide are factored in, according to the Maine Department of Labor’s most recent statistics. The company ranks just behind Cianbro Corp. in Somerset County on the employer list. Each is listed as having 501 to 1,000 employees. Skowhegan Town Manager John Doucette Jr. said he and other town officials have met with Summit officials several times, so the speed of the project was not surprising. Summit Natural Gas is competing with another company, Maine Natural Gas, in laying pipe and lining up customers in central Maine. Rick Jackson, senior project superintendent for Daniel O’Connell’s Sons construction company, said round-the-clock work for the Summit project to Sappi will continue about six weeks until the all the pipe is laid. Work began Wednesday at the logging truck entrance to Sappi on Varney Road in Skowhegan. It will run from Varney Road south on Route 104 and eventually will link to the main line near the Melody Ranch dance hall on Route 139 in Fairfield. Crews from K&K construction had laid pipe by Wednesday along Route 139 almost into downtown Norridgewock. He said he has six companies subcontracting the pipeline work, employing 30 to 40 people in two 12-hour shifts. Area residents were alerted by mail about the round-the-clock work. Jackson said his crews will drill through ledge and rock and will not be blasting. He said working day and night speeds up the job significantly. Jackson said crews can lay 600 feet of 8-inch high-pressure pipeline in a day working single shifts. Working double shifts, crews can lay as much as 1,500 feet a day. 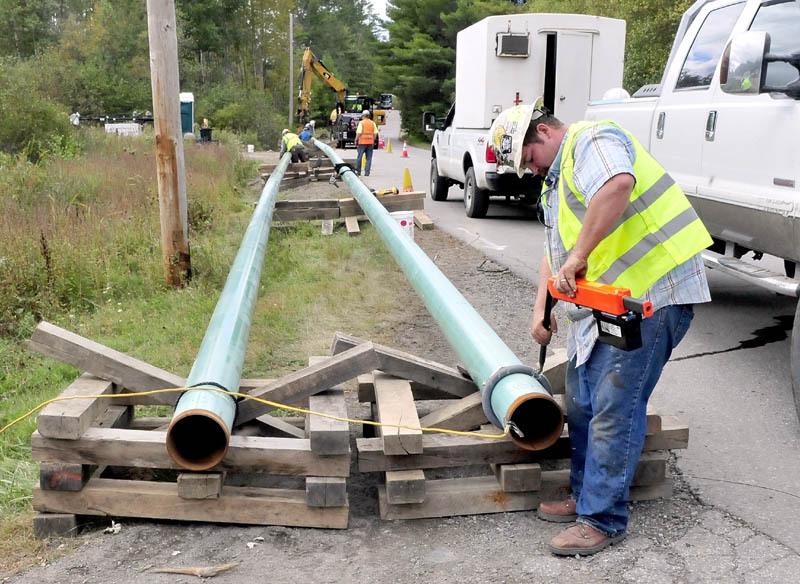 Construction crews totaling more than 400 workers are working in Augusta and from Pittston to Madison on the installation of 68 miles of steel pipe and 66 miles of plastic distribution pipe in various communities throughout the region. “The opportunity to utilize natural gas is essential to maintain the competitive cost position of our Somerset mill and is another example of our investment in the state of Maine,” Mark Gardner, Sappi president and chief executive officer, said earlier this year.